Happy Easter! Our offices will be closed April 19st, 2019. Any orders placed during this time will be entered on April 22, 2019. Have a safe and happy holiday! 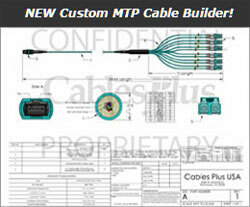 Fiber Optic Cables | Custom Network Cables | MTP Cables, Cassettes & More! 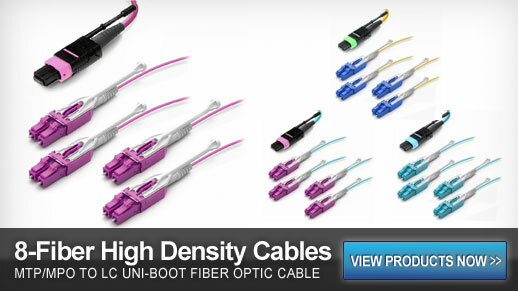 Cables Plus USA: The Best source for Fiber Optic Network Cables & Networking Solutions! Run these between�MTP Cassettes�for a simple, clean networking setup. Connect SFP+ transceivers to an MTP style MPO cassette. 8-strand QSFP+ (MTP) to QSFP+, as well as 8-fiber QSFP+ to 4 X SFP+ (LC). Use these CFP cables to connect your CFP transceivers or modules. LSZH jacket is composed from materials that lessen the smoke and halogen emissions when the cable is exposed to extreme temperatures. TFOCA Cables are extremely strong, lightweight, rugged, survivable tight-buffered cables designed for military tactical field use and commercial applications. Rugged RJ-45 Cat5e Ethernet Cable Assemblies provides an efficient, comprehensive and affordable solution to Ethernet connectivity in harsh and environmentally challenged applications. Properly clean fiber optic adapters and connectors using these products to eliminate dust, dirt, oil, moisture with a static free system that can be used for connectors and adapters. The Push-Pull Tabs greatly simplify the use of MPO connectivity when manual access to the release slider and rear portion of the connector is restricted.